Team ADPi crossed the finish line of the 2017 Chicago Marathon this past Sunday. For some, it was their first marathon. Others, seasoned veterans on Team ADPi running since its inception in 2013. A love of running, love of our sisterhood, and a love for Ronald McDonald House Charities bonding them together. We are proud to report, Team ADPi raised more than $35,000 to support the overall $1,500,000 goal Team RMHC set. It’s a 26.2 mile tour of my favorite city! I wanted the opportunity to do something I love (run) to give back to ADPi and RMHC. I also thought this would be cool to do with sisters from all over the USA. 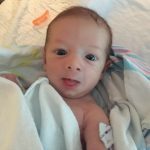 I had serious FOMO (“Fear of Missing Out”) last year while pregnant. 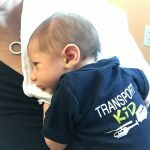 I needed to prove to myself that after having my second child I could still train and run – five months to the day after having my little legacy I’ll be completing my third marathon! 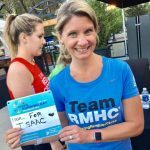 I’m running Chicago this year so I can support RMHC. This is my fifth year with Team RMHC and Team ADPi. I wanted to run a big marathon and Chicago was one I heard a lot about. Also learning ADPi had a team made the decision easy! I’ve volunteered with ADPi for many years, but, I’ve never been involved with work of the Foundation. Over the past year or so, I’ve been more interested and I want to be more involved. I thought this was a great way to start! I chose to join Team ADPi because every year I look forward to seeing my sisters as we join together to run! 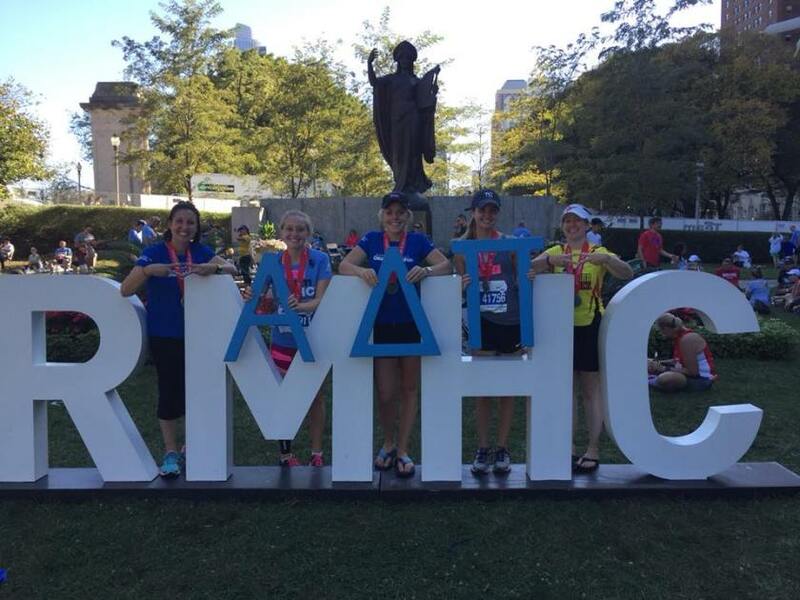 There are women that I only see once a year, but our bond is strong because of Alpha Delta Pi and because together we become marathoners! Because they are the best fundraising team ever!!! Why not join two groups that are a big part of who I am!? RMHC provides an amazing service. During my ADPi time I understood a little about it, now I understand firsthand how wonderful it is. I’ve loved RMHC since getting involved as an ADPi. This was another way to support our great philanthropy while also meeting other sisters from across the country! The sisterhood and support throughout the training and fundraising was awesome! I have told so many people to run Chicago by raising money for RMHC! I can’t wait to do it again! Sarah was one our top fundraiser for Team ADPi and the 6th highest fundraiser for Team RMHC (out of 950 runners), raising more than $5,900 this year. We’re also happy to report, Isaac will celebrate his third birthday in April. Whatever the reason they choose to run, we’re incredibly proud to have them represent Team ADPi.